Do you live paycheck to paycheck and are convinced you have no assets? It would seem to follow then that you have no estate to leave behind when you pass on. But, frankly, nothing could be farther from the truth. To the contrary – everyone needs a plan. Let’s consider just three of the many good reasons for preparing an estate plan no matter your net worth or age. Estate plans are actually a set of documents that informs your loved ones how to address your affairs in the event you become incapacitated or depart this world. People who do not plan their estates often leave living family members with a legal mess to deal with during the grieving process. Ultimately, estate planning is not meant as an aid for you but for your loved ones. Should you fail to plan the IRS and state probate courts will be happy to step in and prepare a plan post-death. Probate is the outcome of failing to plan. For example, failing to provide a will or creating a will but not including a trust. 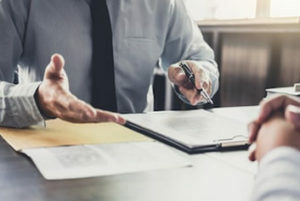 The process is generally very slow, all transactions become part of the public record, and it can become costly thereby reducing the size of your initial estate. It is the sad reality that failing to plan can actually be pricier than advanced preparations. It’s not all about the money. If you haven’t given any thought to what you want your end of life to be – now is a good time to do so. You need to consider all the eventualities. For example, you should grant authority to someone to act as your agent regarding health care decisions should you be unable to speak for yourself. Additionally, identify a conservator and guardian for young children. These are determinations you want to have control over – and not something that would require the intervention of third parties who should not be involved in family matters such as these. Estate planning may seem like a chore that you can put off until you have the time to think about it. But, the best advice is to take the time today to plan for the tomorrows when you won’t be here. It is the nicest gift you will leave your loved ones who will be able to cherish the memories instead of dreading the task of closing out your estate. If you would like to know more about estate planning and other legal issues related to your family’s and your own personal well-being contact us at the ERA Law Group, Annapolis. We’re your experts in estate planning. We will treat your matters as if they are our own.